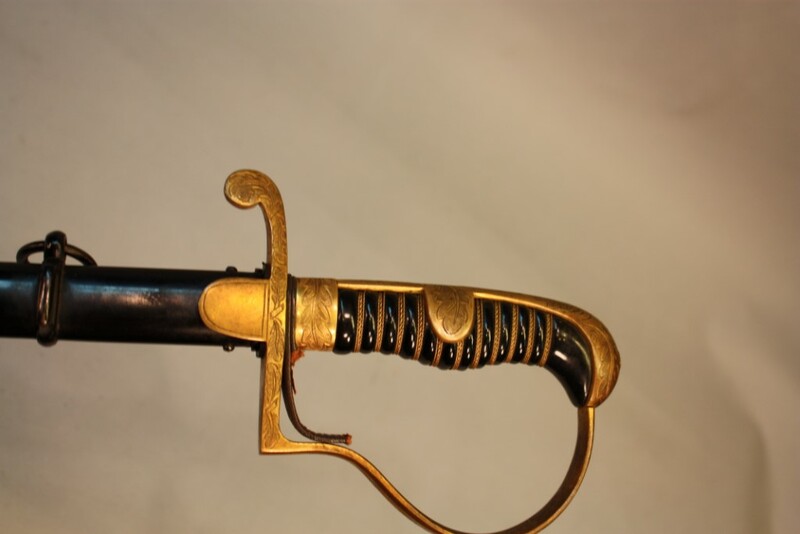 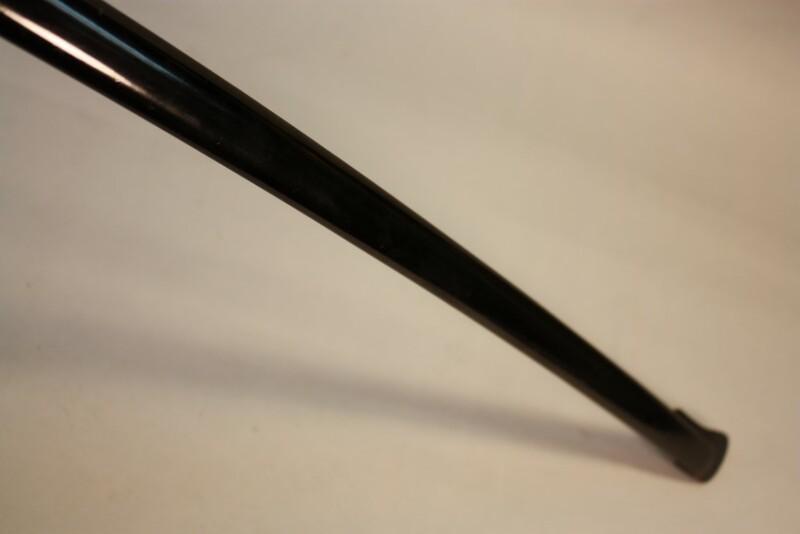 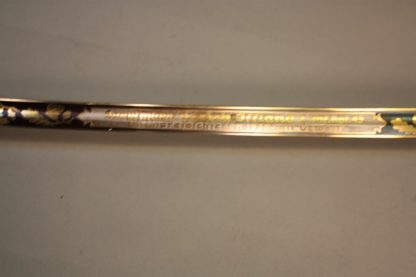 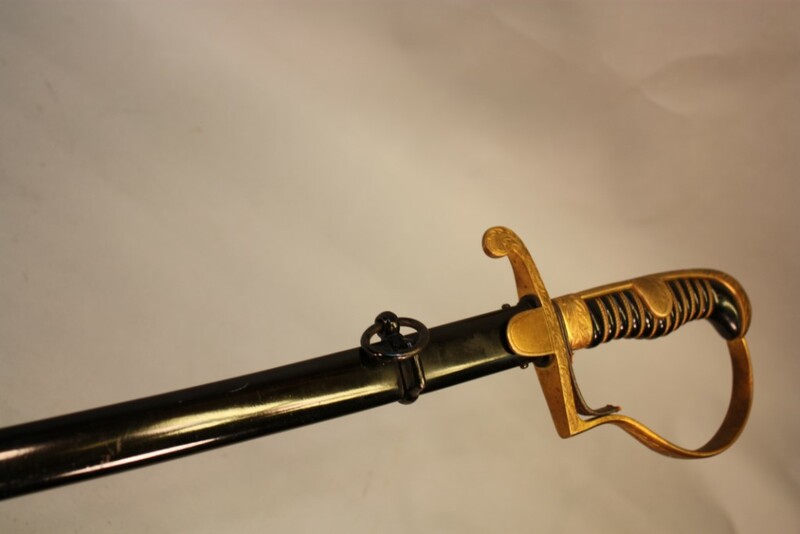 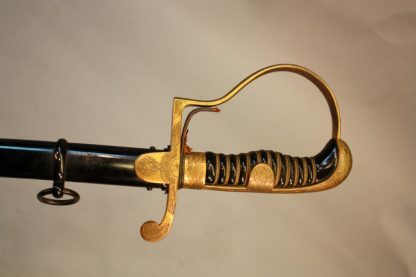 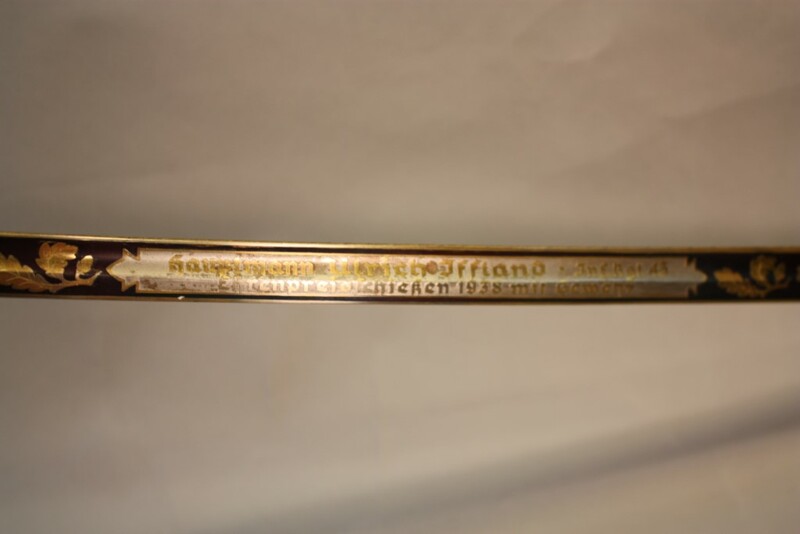 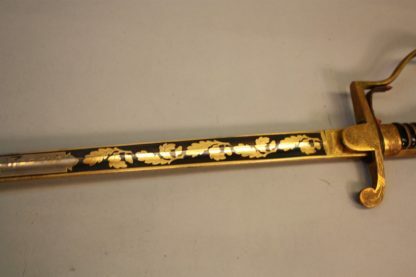 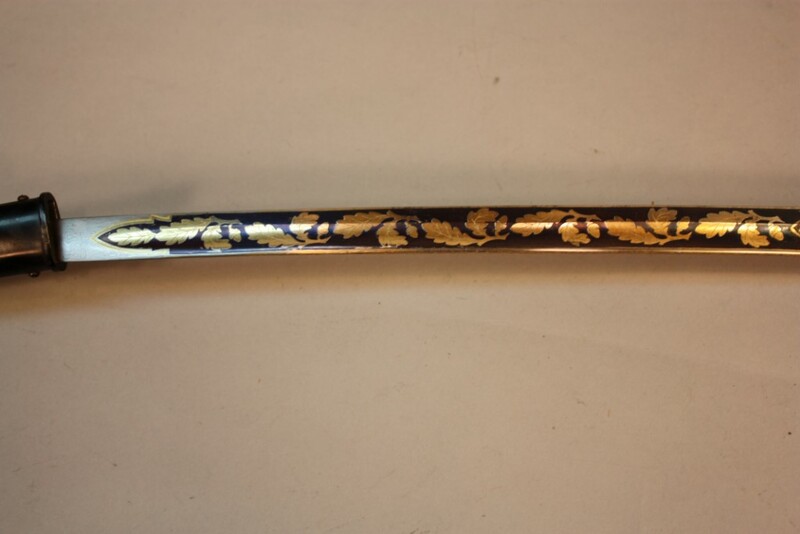 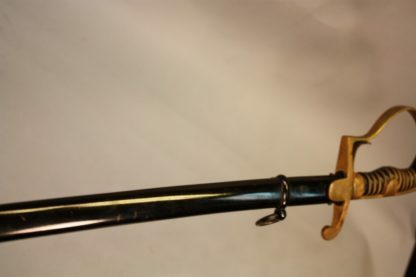 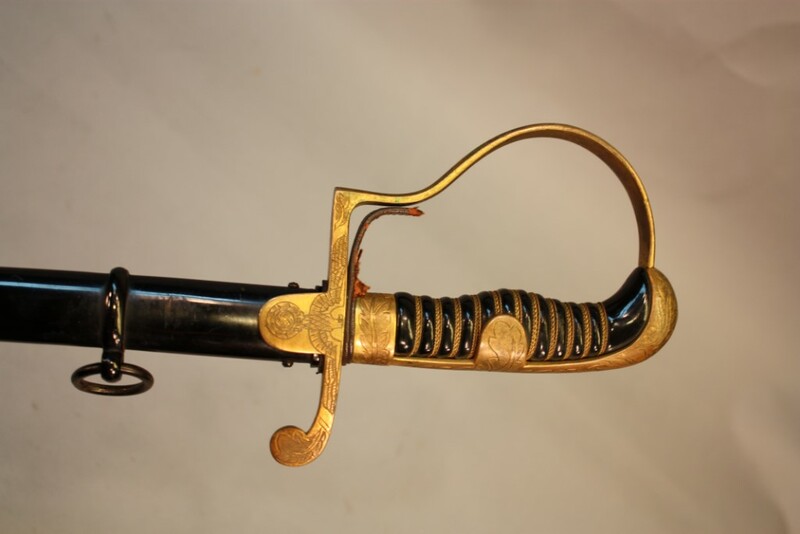 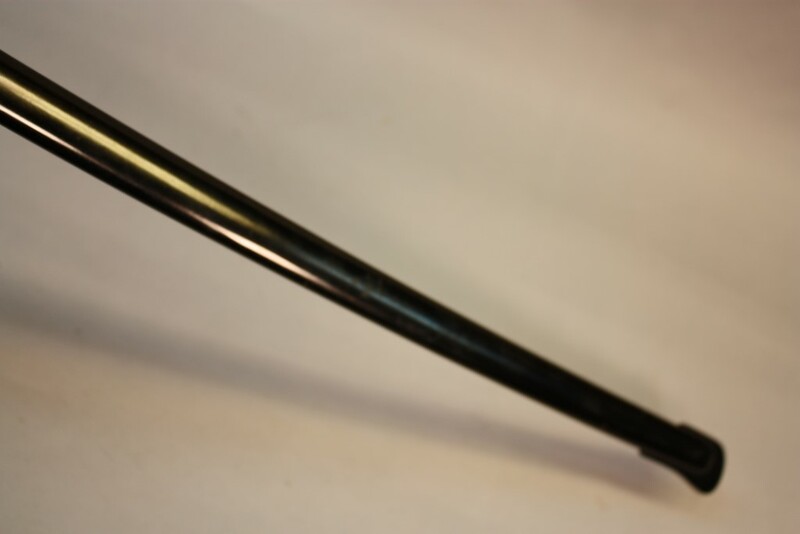 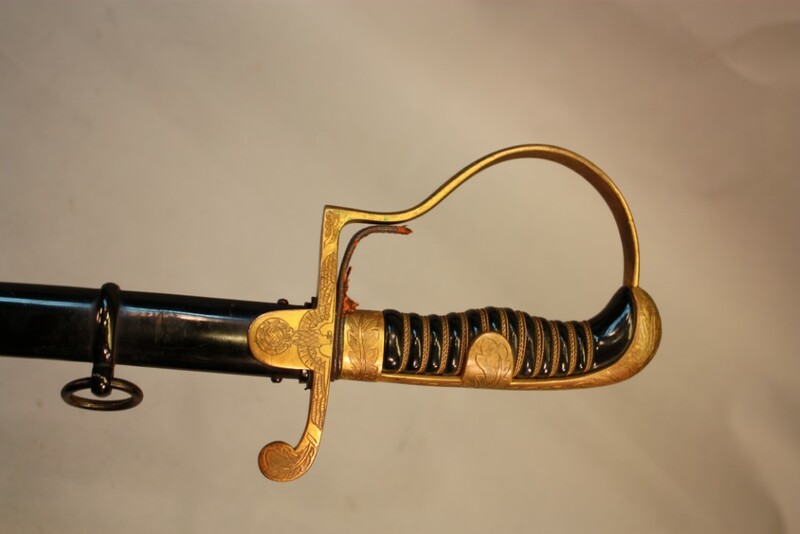 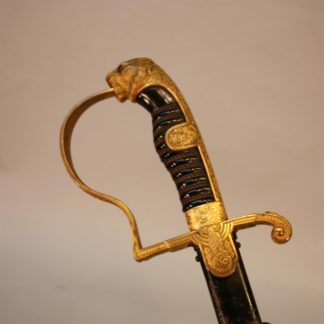 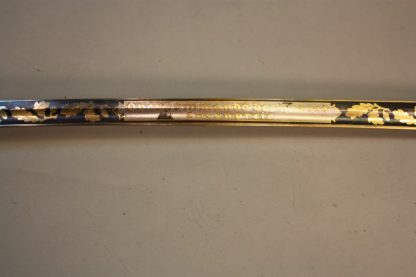 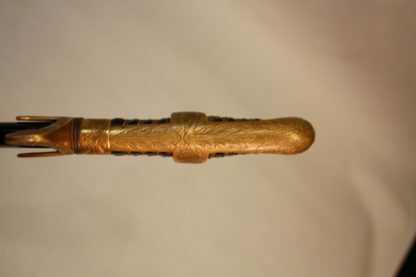 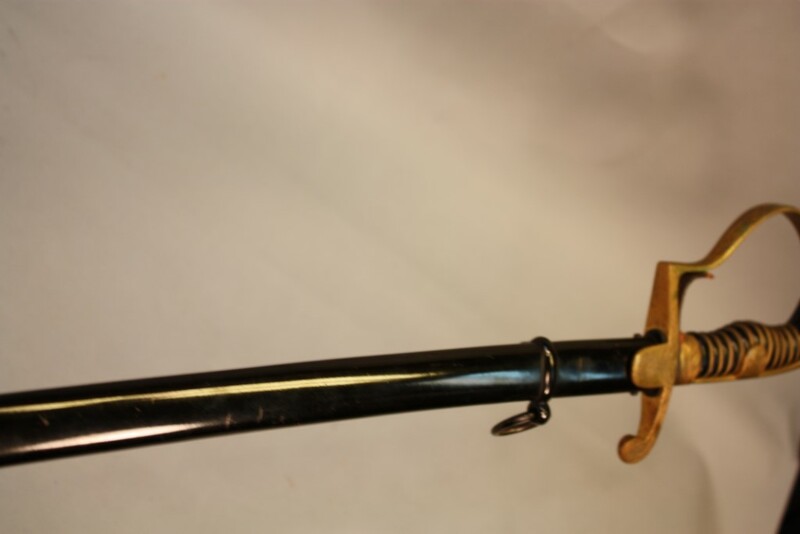 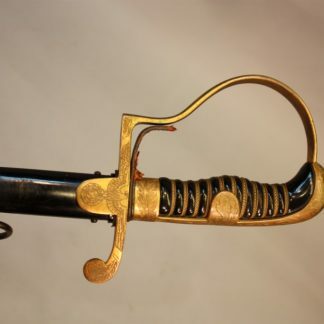 Army Honor Sword by E.F. Horster – Military Collectibles, Inc.
As always, Hilts are rather plain but this is the 1938 pattern with the large eagle on cross guard. 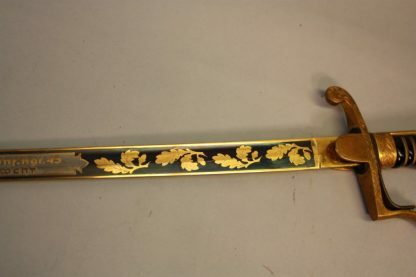 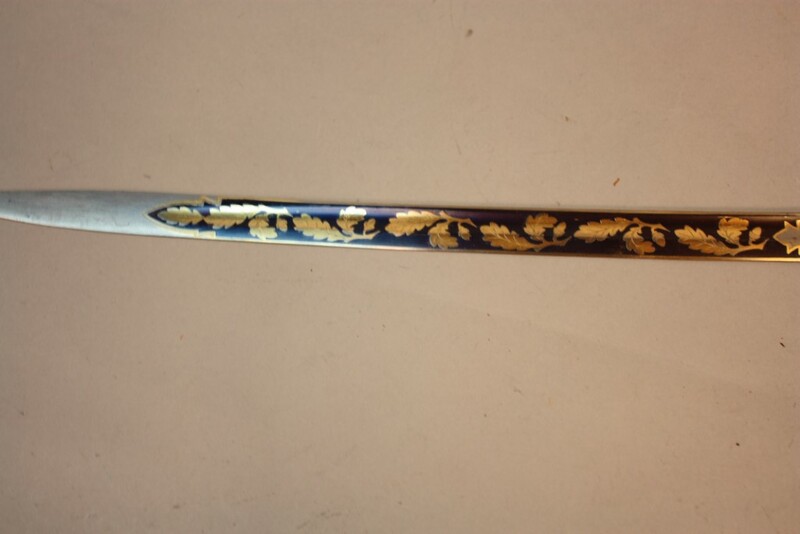 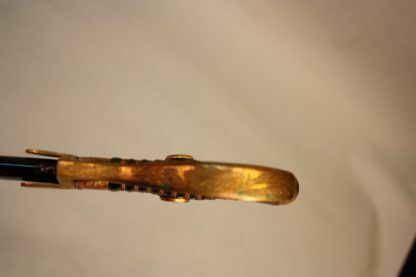 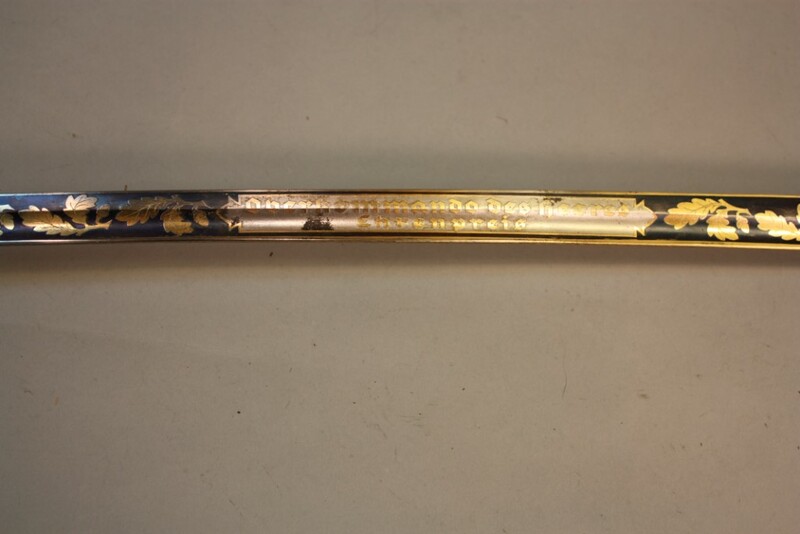 But when you pull it out, wow – the sword has minty damascus then as one can see, the blue and gold is superb. 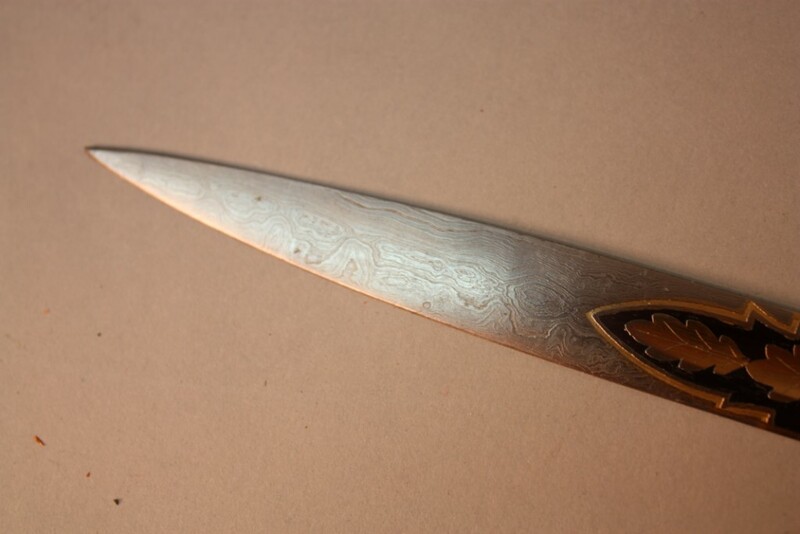 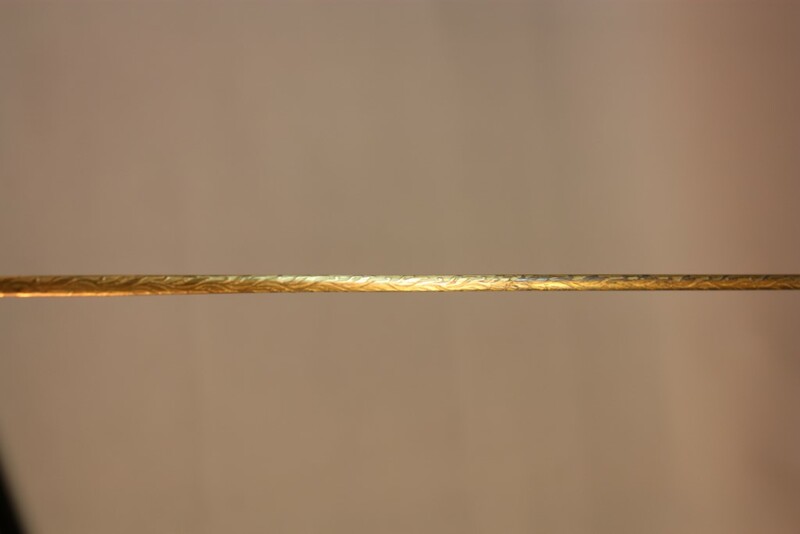 It is doulbe marked under the langets one for the damascus, the other is maker. 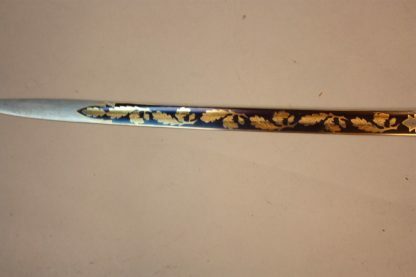 The blue and the gold is intense. 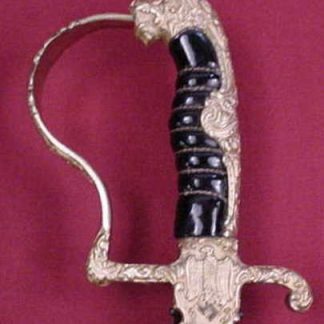 The front is for army honor prize. 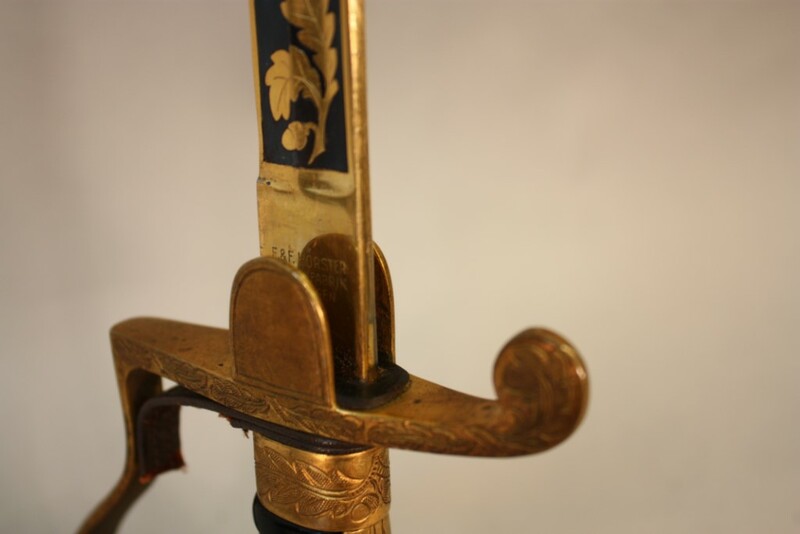 The reverse is the detail of the recipient and his regiment Inf. 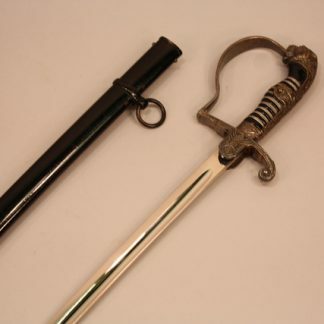 Rgt. 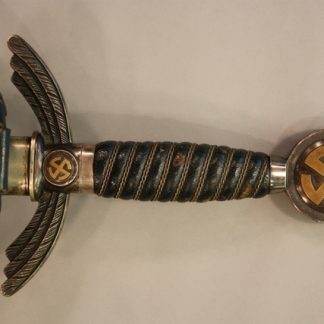 43 and dated 1938. The gold is not great on the Hilt, but the rest is mint. 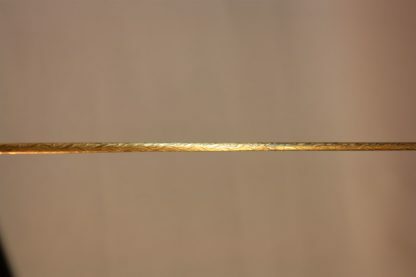 A rare model.